We hope you enjoy this sneak preview of our new Crowdfunder video for Librarycamp UK13. Our venue for this year's Librarycamp is the brand new Library of Birmingham and the date is Saturday 30 November 2013 and tickets are free. We've raised enough cash to pay for the venue, but we need to raise another £500 to pay for the catering plus we like to support the network of smaller regional Librarycamps with cash grants. This video will be part of our Crowdfunder pitch. Do not panic! 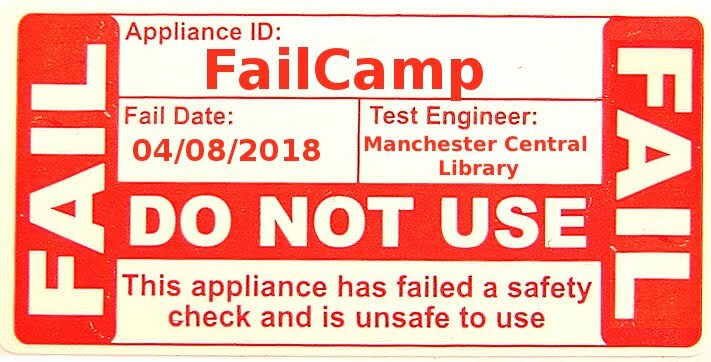 Tickets haven't been released yet for the big event, but if you'd like to come it would really help us out if you'd sign up on this Librarycamp Eventbrite page so we have an ideas of numbers. This isn't a ticket for the event - just an expresssion of interest but you will find out first when the real tickets are released. Hope that makes sense! If not tweet us!